Sylvester McCoy, who starred as the Seventh Doctor in the ever-popular BBC series from 1987-89, was at Showmasters’ Collectormania event in Milton Keynes last weekend. So, Flicks And The City had a chat with him about all things Doctor Who, the show’s 50th anniversary, Peter Capaldi, and working on Peter Jackson’s The Hobbit trilogy. 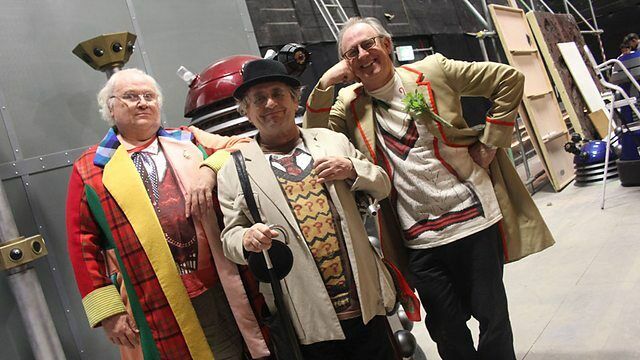 Check out our video to see Sylvester McCoy chat about returning for The Five(ish) Doctors Reboot for the Doctor Who 50th Anniversary, working with Paul McGann, John Barrowman, Peter Jackson, Ian McKellen, Sean Pertwee (son of the Third Doctor, Jon Pertwee), Russell T. Davies, and Peter Davison, and what he thinks about Peter Capaldi’s new Doctor. Sylvester also talks about playing Radagast in The Hobbit trilogy, his scene with Sebastian the hedgehog, and thoughts on Viggo Mortensen’s recent comments on Peter Jackson’s The Lord of the Rings trilogy regarding reshoots.